Commissioning a painting means: I paint you something you want, rather than you buy something I've already painted. It's an easy process, and you can commission a landscape painting, wildlife painting or pet portrait painting from where ever you are in the world. I enjoy working with my clients, from the initial request through to the finished painting. The following explains how the commission process works, and if you have any questions don't hesitate to contact me. Sizes other than those listed below are available and can be quoted upon request. 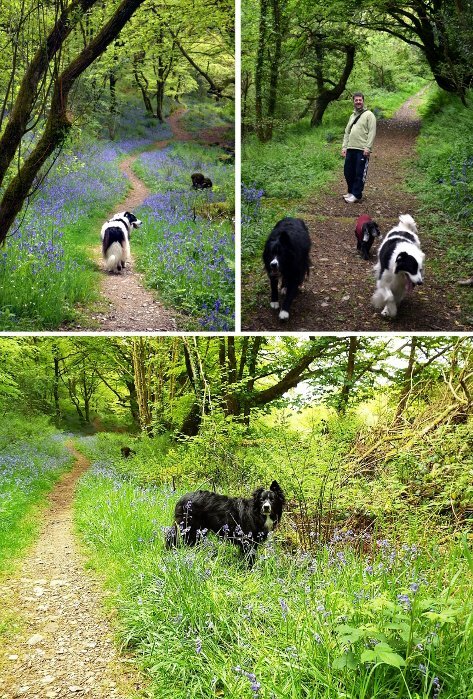 Prices are the same whether landscape, seascape, pet portrait, or wildlife painting. Each additional pet or figure ( i.e., more than one pet or figure in your painting ) + £70 per pet/figure. If you'd like a specific size canvas, just contact me for a quote. Get in touch by email, by phone, or in person if you'd like to visit my studio, and we can discuss your painting enquiry. 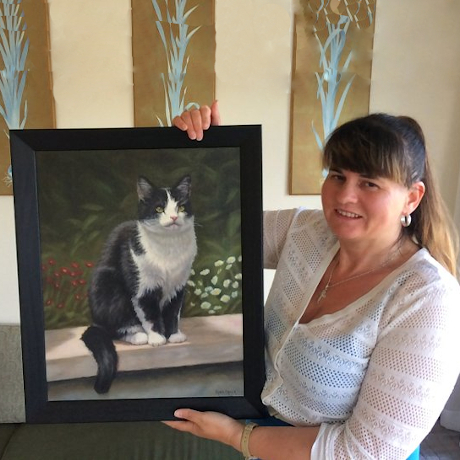 Ben - framed pet portrait commission with happy client. 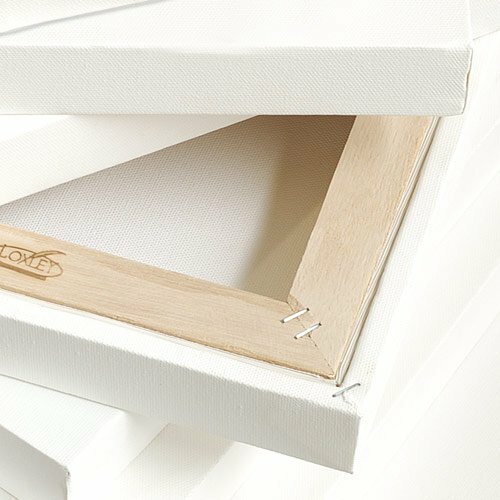 Oil painting commissions are painted on museum quality fine art stretched cotton canvas (stretched canvas, means that the canvas is pre-stretched and pinned on wooden framework). 5) In person at my studio using all major credit/debit cards via iZettle card reader. Find out more about making payments here. 3 separate client photographs supplies for a 3 dog pet portrait. 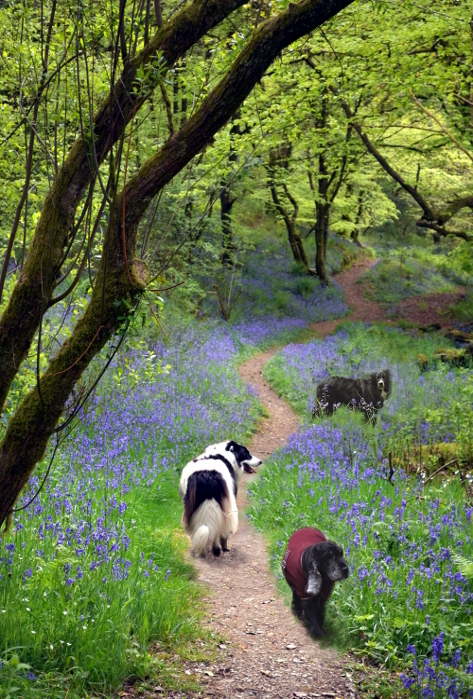 Photoshop mock-up where I placed the 3 dogs in 1 composition. See the oil painting produced from the images above here. As you can see from the example images above, it's possible to make up a composition from lots of individual photographs, then alter and move various elements around until you're happy with the composition, before we begin on your painting. If your commission is a landscape painting, and the scene that you'd like painted is relatively local to my studio, here in west Wales, I'm happy to visit the location and gather any reference material needed to create your painting for you. Your painting will take approximately 6 weeks to paint, including drying time. The start date however is dependent on my schedule and work load, but I will let you know this when you enquire. Professional framers, Geoff and Candy Taylor of 'Cottage Harmony Framing Company', are based locally in Blaenporth and carry out all my picture framing. 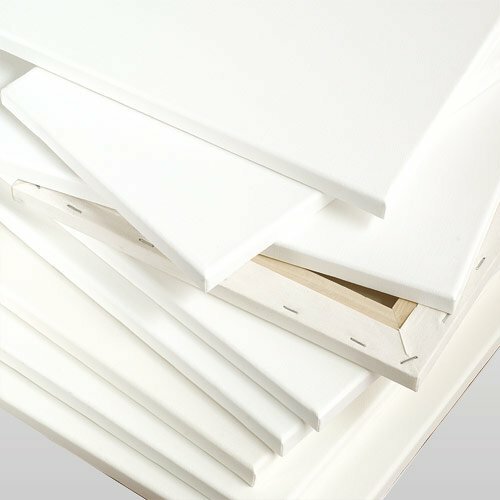 They have a wide variety of frame mouldings in stock, and a vast choice from their suppliers, any of which can be ordered specifically for you. Or Contact Me to discuss your framing options. Postage & packaging is included in the price for delivery within mainland UK. International postage prices will need to be quoted individually, according to size and destination location. FRAMED paintings will incur a additional postage and packing charge due to the extra weight/size. Find out more about delivery of your painting here. 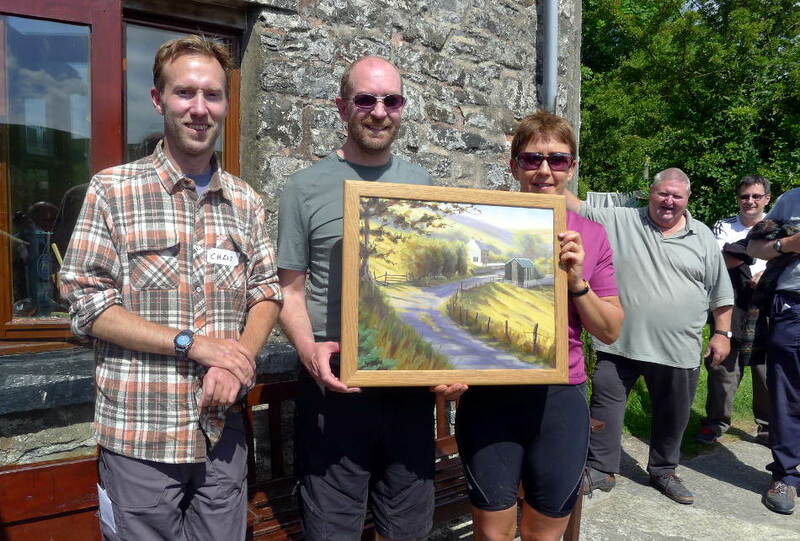 My landscape painting commission being presented to recipients at Elenydd Wilderness Hostels open day 2015.